On Jan. 17, NOIAW hosted its annual Greater New York Epiphany Celebration at the Columbus Citizens Foundation Townhouse on the Upper East Side. 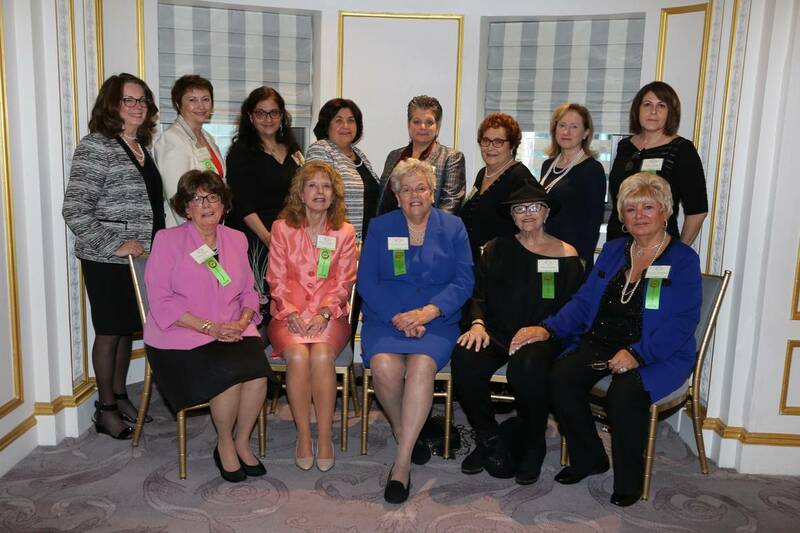 For the organization’s ninth celebration in NY, attendees gathered to continue the tradition of distinguishing accomplished and inspiring members of the female Italian-American community. 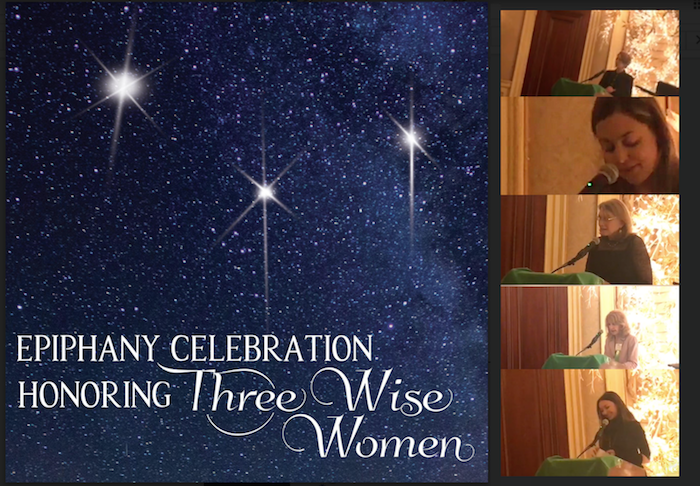 With NOIAW’s founding in 1980, mothers of the sisterhood, led by Dr. Aileen Riotto Sirey (who was in attendance at the Epiphany celebration), sought to realize their vision of a national network– one that would support the educational and professional aspirations of Italian-American women, as well as combat ethnic stereotypes by providing a platform for positive role models in the community. The organization’s pioneering members include integral Italian-American women who have stood as prominent figures in society. 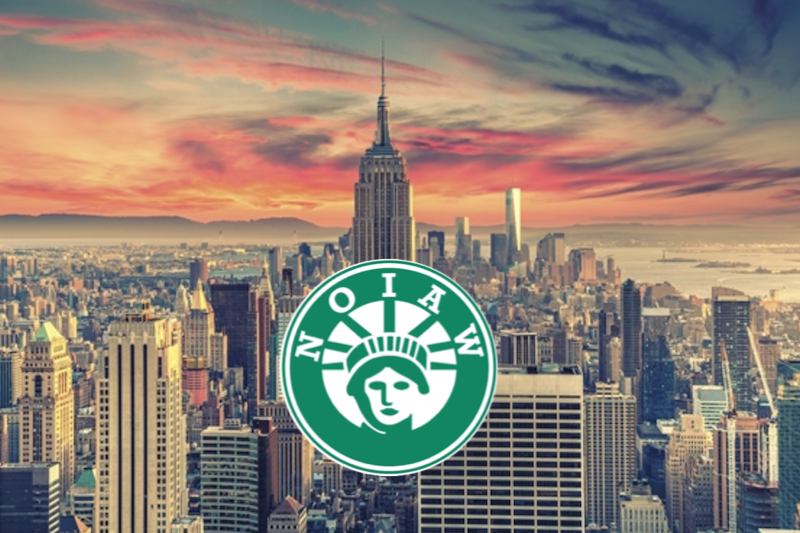 Former member of the US House of Representatives from NY Geraldine A. Ferraro and former first lady of NY Matilda Raffa Cuomo (mother of current NY Governor Andrew Cuomo) were among the attendees of NOIAW’s cardinal meeting. “It is never too late or never too much to remind ourselves how important and inspiring is the role of the women who, day by day, try to make a difference,“ said recently appointed Vice Console General of Italy to New York Silvia Limoncini as she addressed the crowd at Wednesday’s event. As the festivities progressed, all those in the room were encouraged to do just that. Founder Dr. Riotto Sirey introduced the first of three “wise women” of the hour to be recognized for their achievements. 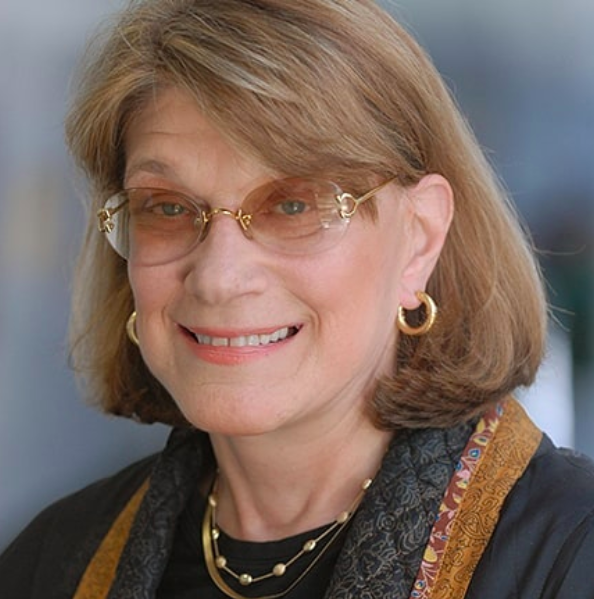 Elizabeth F. Defeis is a professor at Seton Hall University’s School of Law, where she served as dean emeritus from 1983-1988. She is the recipient of four Fulbright Scholarships, and has been a member of NOIAW since its early years. Defeis’ career and expertise on human rights, democracy and constitution-building has taken her all over the world. Currently, she is Advisor to the Permanent Observer Mission of the Holy See. The next woman to be awarded was Dr. Teresa Ghilarducci, who holds the Bernard L. and Irene Schwartz Chair in Economic Policy Analysis at The New School for Social Research–where she also directs the Schwartz Center for Economic Policy Analysis . 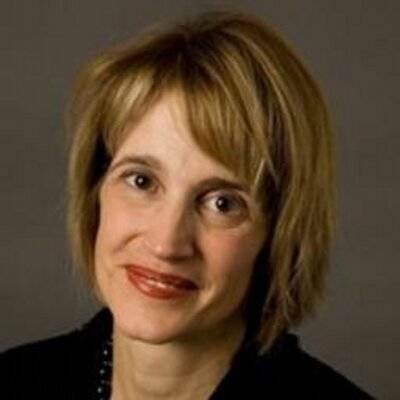 She is an economist and nationally recognized expert on retirement security, advocating for pension reform and the creation of Guaranteed Retirement Accounts. Ghilarducci has authored works published by Princeton University Press and MIT University Press, and has an upcoming book to be published by Columbia University Press. Ghilarducci accepted her award, beginning her speech by giving the audience insight into grandparent’s journey to the US from Italy, pushing through immigration law that target Italians and Jews. She went on to trace the events of her life, springing from her family’s immigration, that led her to work toward solving America’s economic crises. “And for good fortune, we live a lot longer. But without speaking up, we will be facing another 10, 20, 30 years of immiseration of older people in the United States, especially older women,” Ghilarducci concluded. The final awardee honored, Paola Prestini, is an accomplished composer and trailblazer, having been named one of Musical America’s “Top 30 Musical Innovators” in 2016. 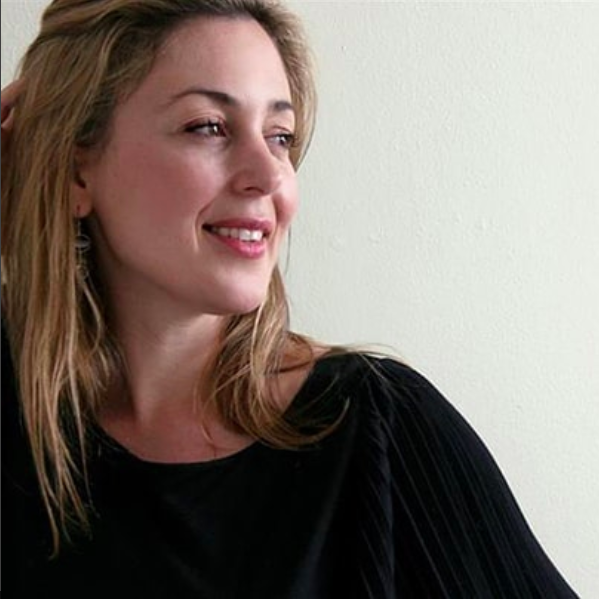 The Washington Post has named her one of the “Top 35 Female Composers in Classical Music,” and NPR Music has labeled her one of the “Top 100 Composers in the World.” Prestini is co-founder and artistic director of National Sawdust, a nonprofit space in Brooklyn for performance and arts incubation, which has no merged with the multimedia production company VisionIntoArt, of which she is also a co-founder. Her music was performed in prestigious arenas such as Carnegie Hall, the Kennedy Center, and the New York Philharmonic. Prestini’s latest immersive theater project, Epiphany (composed in collaboration with Netsayi and Sarah Kirkland Snider) will be performed in London this Spring. 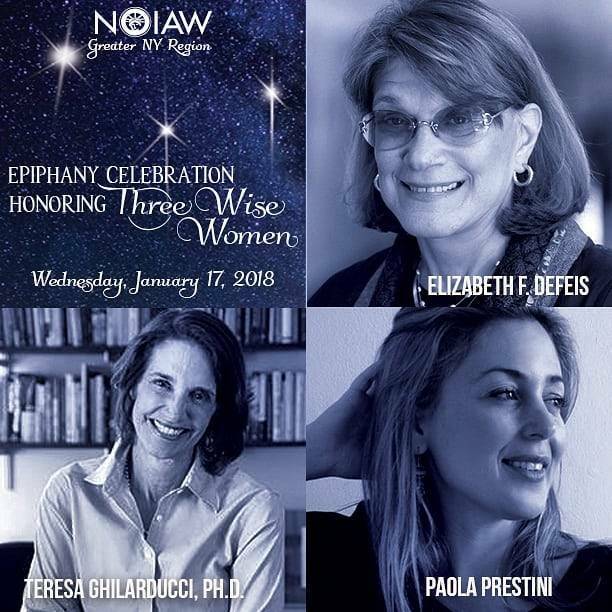 In the coming days, NOIAW will honor six more accomplished Italian-American women at its Epiphany celebrations in Rhode Island and Connecticut. The National Organization of Italian American Women (NOIAW) is the only national organization for women of Italian ancestry. The mission of NOIAW is to unite and connect women through Italian culture and heritage; to celebrate the achievements of women of Italian ancestry; to inspire and enrich members with shared interests in cultural programs; and to empower and advance the educational and professional aspirations of current and future generations. For more information about NOIAW, its members and programs, or to become a member, visit www.noiaw.org, call (212) 642-2003, or follow us on Twitter, Facebook and Instagram. The National Organization of Italian American Women, Inc. is a 501(c) (3) not-for-profit organization. Contributions are tax deductible to the full extent permitted by law.